During my second year of undergrad, we were asked to come up with a research topic investigating an observation or concept that could be transformed into an ‘extended’ zoological study in order to prepare us for the more intense research program of the following year. 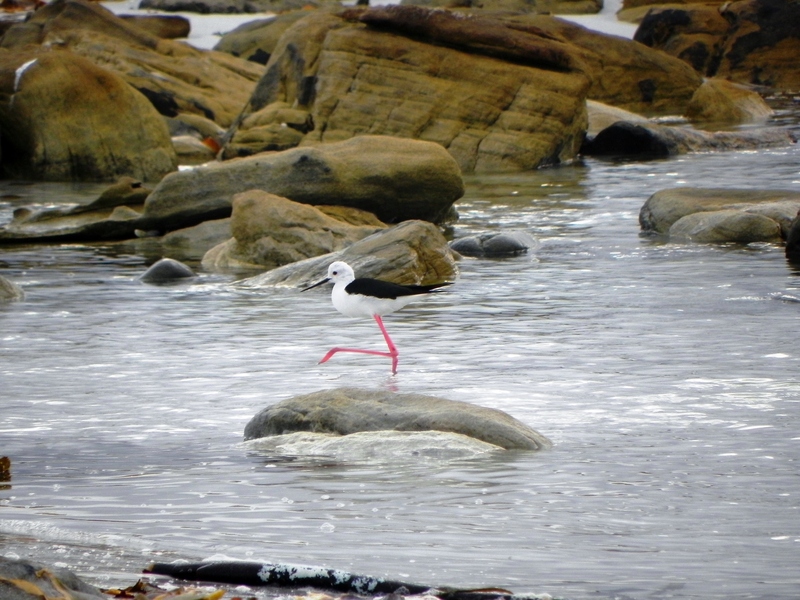 I had always been interested in the birdlife utilising our shores and so chose a comparison study in which a survey was to be carried out to determine the diversity of bird species occurring in coastal environments across South Africa. Due to time constraints, I could only compare eight sites of rocky shore and sandy beach environments in both Cape Town and Port Elizabeth. The sampling method used was a 500 m line transect, individuals being recorded within a 25 m radius from the observer. Species names as well as the number of individuals and the habitat in which they were observed were recorded. 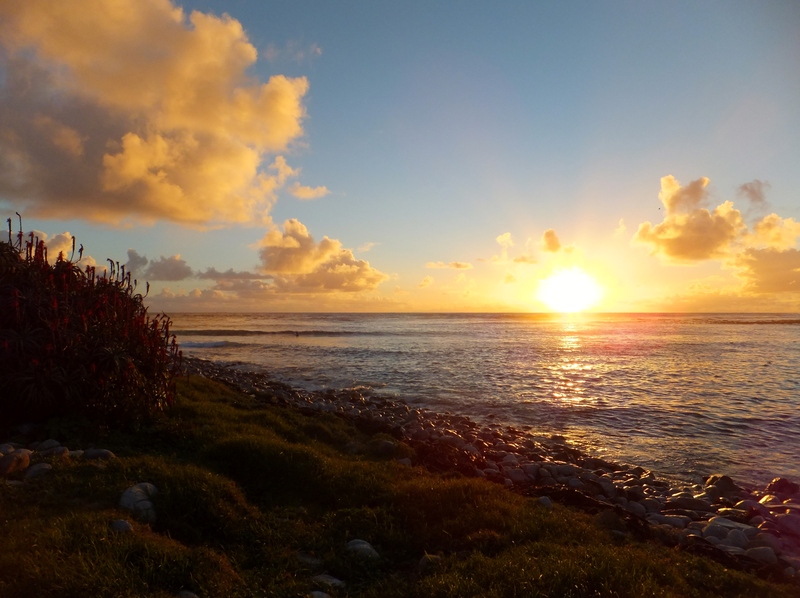 Due to the crowded nature of the sampling sites in the evening, the morning low tide period was deemed to be the most effective time in which to sample. As the survey occurred during the month of September (spring in the Southern Hemisphere), conditions were mild with minimal wind and temperatures ranging between 16°C and 25°C (for the complete materials and methods, as well as the results section, you can contact me on ssivewright@yahoo.com). 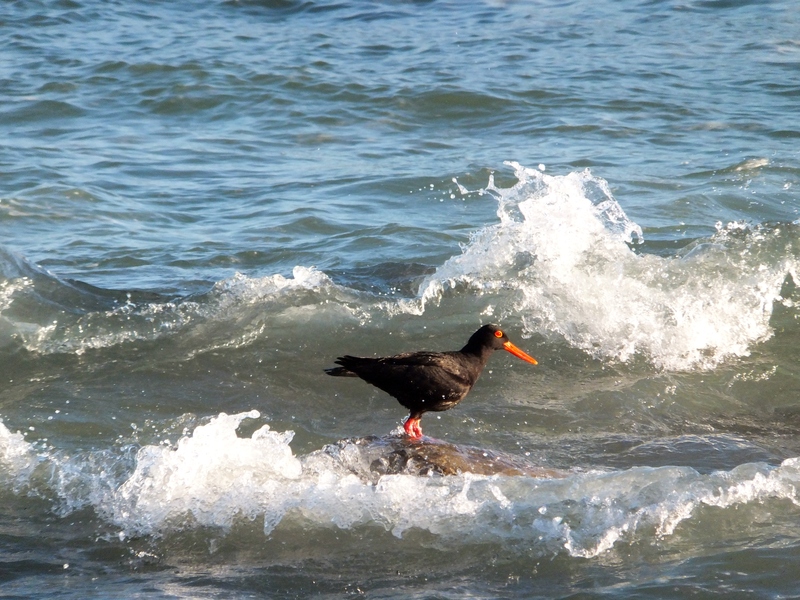 Coastal environments are dynamic regions consisting of a range of habitats rich in a range of species. The rocky shore (Fig 1) and sandy beach (Fig 2) make up two of these ever-changing environments and so provided ideal locations in which to carry out a survey assessing the diversity of bird species frequenting the area. Sandy beaches (Fig 2 & 4) are dynamic coastal zones acting as an interface between the land and sea and while these areas appear barren and desolate at first glance, they are in fact home to an extensive microscopic community (McLachlan 1983). This in turn supports a bird community extending to species such as white-fronted plover (Charadrius marginatus), Cape wagtail (Motacilla capensis) and common swift (Apus apus) which feed on the insects associated with these tiny creatures. Rocky shores (Fig 1 & 3) on the other hand are described as the intertidal zones of a coastal environment dominated by rocks and stones (Lewis 1964). Due to their extensive structural complexity, together with the environmental gradients present in rocky shore environments, there is a richer variety of microhabitats when compared to sandy beaches. These zones provide shelter and other essential requirements to a range of fish and other invertebrate species making up the diet of those further up the food chain, in this instance birds (Raffaelli & Hawkins 1996). It was therefore postulated that because of the higher abundance in niches, rocky shores would display a greater diversity in bird species. Birds expected to be making use of the wide-range of prey species afforded by this habitat were the African black oyster catcher (Haematopus moquini), black-winged stilt (Himantopus himantopus), grey heron (Adrea cinerea) and little egret (Egretta garzetta). Due to its varied topography and extensive range of climatic conditions resulting in a multitude of biomes, South Africa experiences a rich species diversity with many protected hotspots occurring across the country. South Africa’s shoreline extends for 3000 km from the border of Mozambique on the East Coast to Namibia on the West Coast, exposing the coast to both the Indian and Atlantic oceans respectively (EWT 2006). In turn, this exposure leads to a wealth of habitats occurring along the shoreline promoting abounding biodiversity. Cape Town (CT), with one of the highest levels of biodiversity in the world, is situated on the south-western coast of South Africa experiencing both the warm Mozambican and cold Benguela currents with their ever-shifting boundaries. 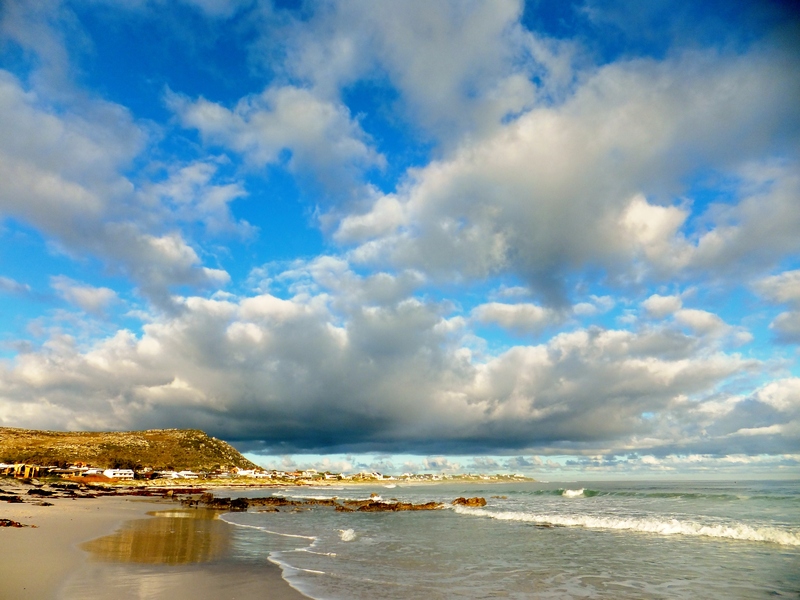 The sites sampled in CT during this survey were situated along the western shores of the Cape Peninsula, the most south-westerly tip of Africa. This region is home to the famed Cape Floristic Region and so constitutes a biodiversity hotspot of immense global significance (Cowling et al. 1996). Port Elizabeth (PE), situated on the shores of Algoa Bay in the Eastern Cape Province, experiences the warm Mozambican current flowing southward and thus providing a more subtropical climate than CT. 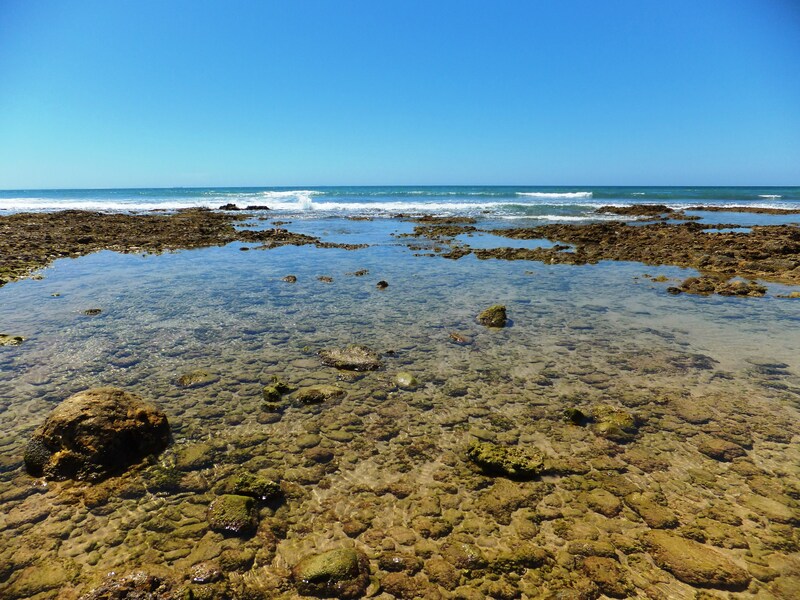 The sampling sites for this city were centred around the Cape Recife headland, a region whose shores are bordered by rocky barriers affording protection to intertidal communities. More centrally located within the bay is the Bird Island Group Marine Protected Area, a vital breeding ground and habitat for Cape gannet and the African penguin. By assessing the data that was collected during this study, it was established that no overall significant difference could be stated between rocky shores and sandy beaches. This could be owing to the time of year and the fact that insufficient sites were sampled during the survey. As the study was carried out during September, the beginning of the breeding season for seasonal migrants, it could be theorised that a selection of birds usually recorded as frequenting these shores had yet to arrive in any significant numbers (Ryan & Sinclair 2009). These species would include, among others, the ruddy turnstone (Arenaria interpres) and the damara tern (Sterna balaenarum). In total only sixteen sample sites were surveyed (four for each location) and therefore a suggestion would be to increase the number of sites and locations in order to establish results of greater reliability. Species diversity was calculated for the two different habitats resulting in the rocky shore representing a slightly greater diversity (2.60) than that of the sandy beaches (2.03) assessed. While this variance was expected, if was not distinct enough to declare a noteworthy difference. In addition, it can also be concluded that with regards to species evenness, both habitats maintain an equal spread of the species present signifying that the assessed environments are not dominated by any one species (Mulder et al. 2004) . Although no significant difference could be declared, patterns were observed from the assessed data, albeit only slight ones. The total number of individuals and species recorded were found to be marginally greater in the rocky shore habitats as expected. The values for number of individuals in CT were higher in the rocky shore habitat (94) than the sandy beaches (37), the opposite being true for PE (68 individuals encountered along the rocky shores and 119 on the sandy beaches). The same pattern was observed when assessing the results obtained for species number. 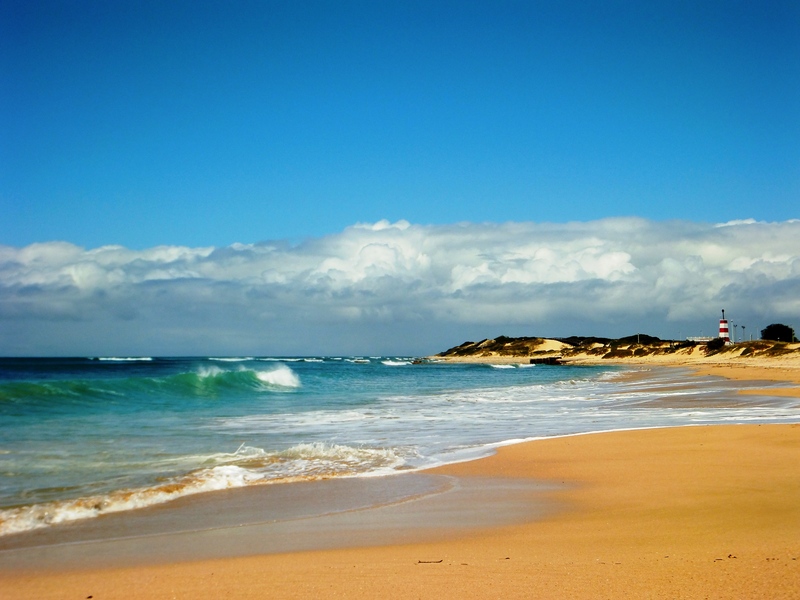 Another possible factor resulting in the unexpected results could be that the sandy beach environment assessed in PE was situated within the Cape Recife Nature Reserve which would provide a habitat with greater protection and fewer disturbances when compared to both the assessed sandy beaches in CT and the overall rocky shore survey. This point is illustrated by the vast number of swift tern (Sterna bergii) and white-breasted cormorant (Phalacrocorax lucidus) observed in this area (45 and 38 individuals respectively). 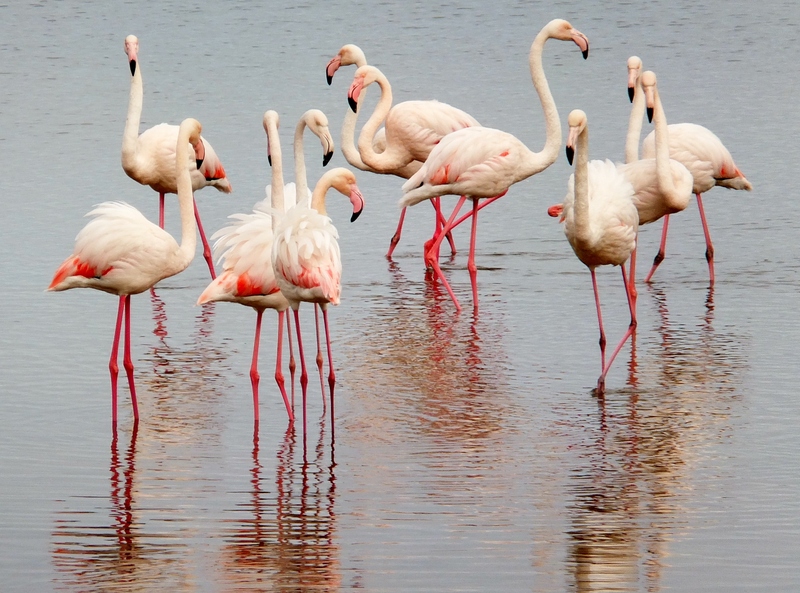 A point of interest encountered during the survey was the then newly established colony of greater flamingo (Phoenicopterus roseus) in a rock-encircled muddy basin along the Kommetjie shoreline, currently fluctuating between approximately fifteen to forty individuals. 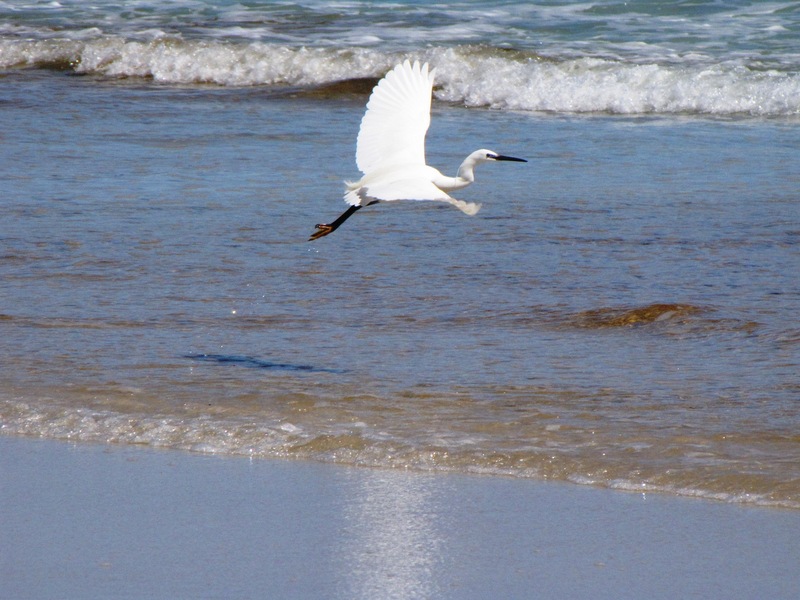 Kommetjie is situated approximately 30 km from their known habitat (estuaries, lagoons, sandy beaches, saltpans and shallow lakes) within the waterways of Cape Town and areas further up the West Coast making the move to a this ‘faraway’ shore unexpected (Ryan & Sinclair 2006). This move could be attributed to the increased pollution occurring in the inner-city bodies of water driving the species to relocate to a more suitable feeding ground. Another interesting observation is that South Africa’s coastline provides habitats for a number of species ranked at various threatened levels on the IUCN Red List (Ryan & Sinclair 2006). Of the recorded species, these included the African black oyster catcher (Haematopus moquini) and the damara tern (Sterna balaenarum). Thus highlighting the importance of reserves and Marine Protected Areas to promote conservation efforts concerning already and soon to be threatened species and ecosystems. In conclusion, a greater number of sample sites along the country’s coastline would be required to emphasize already highlighted trends as well as to provide results of any significant difference. 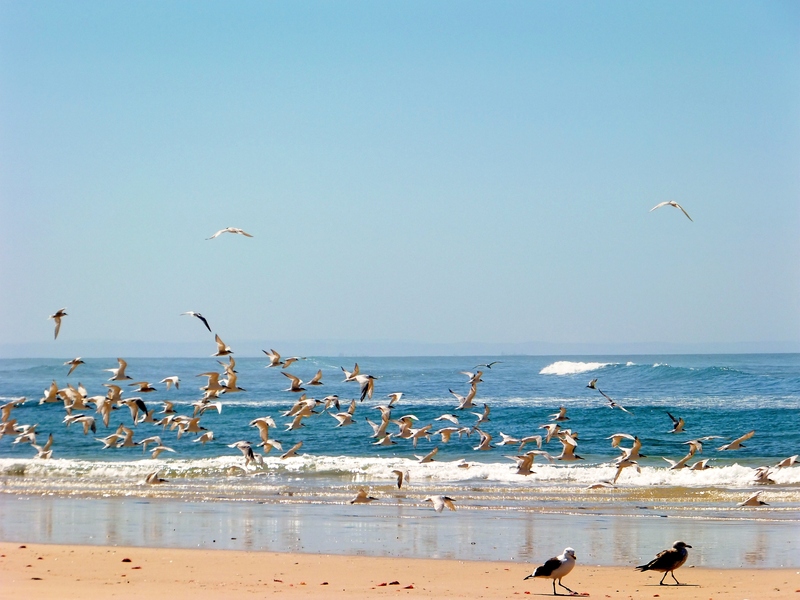 More reliable results could also be attained via the sampling of these sites throughout the year to take into account the seasonal migration of several bird species occurring along the shores of South Africa. COWLING, R.M. MACDONALD, I.A.W & SIMMONS, M.T. 1996. The Cape Peninsula, South Africa: Physiological, Biological and Historical Background to an Extraordinary Hotspot of Diversity. Biodiversity and Conservation. 5: 527-550. ENDANGERED WILDLIFE TRUST (EWT). 2006. Considering Coasts in the EIA Process. [ONLINE] Available at: http://www.eiatoolkit.ewt.org.za/process/coasts.html [Accessed 29 September 2013]. LEWIS, J.R. 1964. The Ecology of Rocky Shores. English Universities Press: London. MCLACHLAN, A. 1983. Sandy Beach Ecology – A review. W. Junk: The Hague. MULDER, C.P.H. BAZELEY-WHITE, E. DIMITRAKOPOULOS, P.G; HECTOR, A. SCHERER-LORENZEN, M. SCHMID, B. 2004. Species Evenness and Productivity in Experimental Plant Communities. Oikos. 107: 50-63. RAFFAELLI, D. & HAWKINS, S. J. 1996. Intertidal Ecology. Chapman and Hall: London. RYAN, P. & SINCLAIR, I. 2009. Birds of Southern Africa – Complete Photographic Field Guide. Struik Nature: Cape Town.